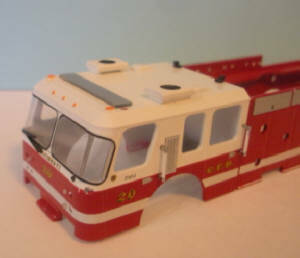 "The Highest Quality Decals For The Emergency Vehicle Model Builder"
Photo etch parts require special skills and tools. I do not allow returns on Photo Etch parts. They bend quite easy, and once there is a crease, it is difficult or not possible to straighten it out. You need special tools to cut the parts free from the runners. Additionally if sharp bends are required, you need a special Photo Etch bending tool. Photo Etch parts are sold with the understanding that I can not replace the parts if you make a mistake. These parts are not for the beginner. The lightbars above, are laser cut from clear acrylic. They come with a protective film on top and bottom. 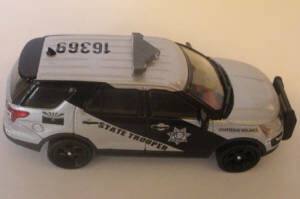 They are more clear than an injection molded lightbar, due to the way the laser cuts them. They can be painted with Tamiya clear paints. I also include a decal for simulation of the aluminum top. 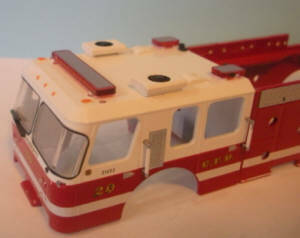 In the case of the Sound Off, it has a black top with a silver piece that goes over it, so simulate the vents and ribs. The Federal bars have the gray tops with the various ribs in black. 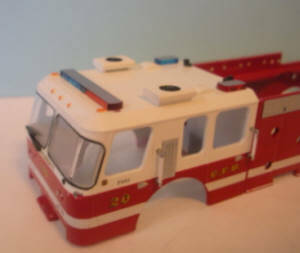 All of these lightbars were sized from the original drawings, so they may not fit on certain cars due to the varying roof widths. The actual width of the lightbar is inside the drawing. Engines were sized using Code 3 products. SUV's and cars using Greenlight products. If you are not certain, ask before ordering. No returns on parts. They may be discontinued at any time, without notice. 1 Whelen style. Painted red, mounted on Code 3 engine. 2 Whelen style. 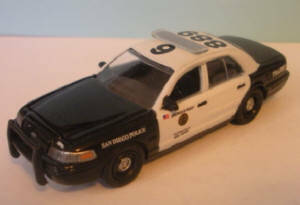 Unpainted, on Greenlight Crown Victoria. 2 LP Whelen style. 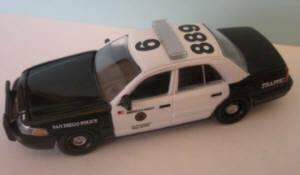 Unpainted, on Greenlight Crown Victoria. 3 Code 3 Defender. Painted red and blue, on Code 3 engine. 8 LP Legend. 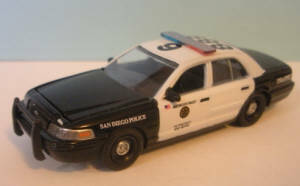 Unpainted on Code 3 engine. 5 Integrity. 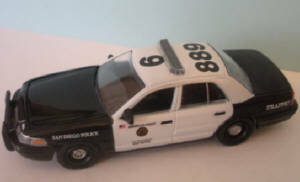 Unpainted, on Greenlight Crown Victoria. 9 LP Legend Lo Pro. Painted red/blue on Greenlight Crown Victoria. 11 Sound Off N Force on Greenlight Explorer. 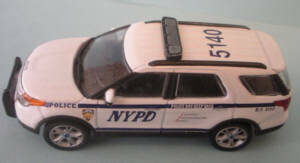 12 Valor SUV's on Greenlight Interceptor Utility.